Let’s take a look at what took place in the first rounds of the region tournaments across the state. Class AAAAAAA: For the boys, Lakeside-Dekalb beat Central Gwinnett 65-54 in a Region 7 game and will face Berkmar on Tuesday. For the girls, Berkmar defeated Meadowcreek 36-25 in a Region 7 game and will face #3 Parkview on Tuesday. In Region 2, East Coweta beat Newnan 47-45 and will face Westlake on Thursday. Campbell defeated Wheeler 63-26 in another Region 2 game and will face Pebblebrook on Thursday. Class AAAAAA: For the boys, Centennial defeated Northview 60-44 behind a 22-point performance in the fourth quarter which allowed the Knights to pull away. Colin Kahl led with 19 points and nine rebounds. P.J. Pointer added nine points. Paul Lunguana scored six points with eight rebounds. For the girls, Richmond Hill defeated Effingham County 42-23 in a 1-AAAAAA game and will face Glynn Academy on Wednesday at Brunswick. 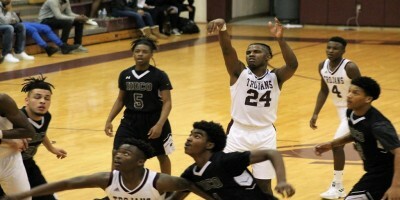 In a Region 4 game, Tucker beat Morrow 49-46 and will face Lovejoy on Wednesday. In a Region 7 game, Cambridge beat North Atlanta 56-28 after taking a 22-12 lead at the half. It pushed the lead to 38-22 entering the fourth quarter before its 18-6 run put the game away. Class AAAAA: For the boys, Ware County beat South Effingham 71-63 in a Region 2 game and will face Wayne County on Wednesday. Dutchtown advanced in the Region 4 tournament with a 61-55 victory over Jones County. It will face Woodland-Stockbridge on Thursday. For the girls, South Effingham beat New Hampstead 65-49 in a Region 2 game. South Effingham will face Wayne County on Wednesday. 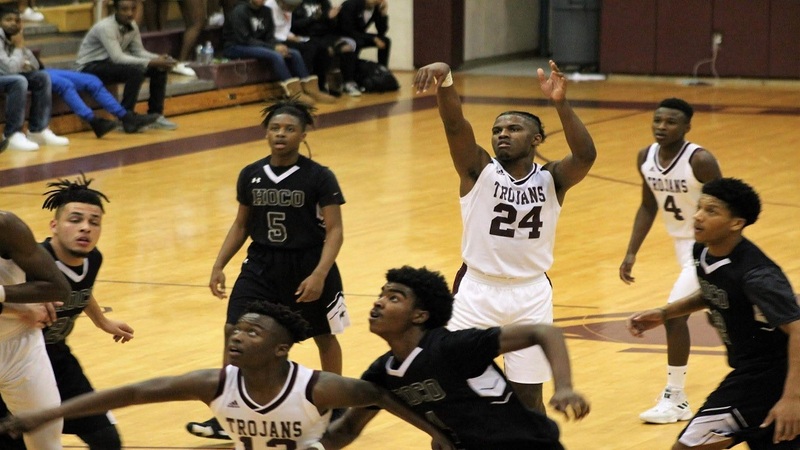 Class AAAA: There were five boys games played tonight: A pair of finals, Cairo 68, Hardaway 66 and Northside-Columbus 79, Shaw 74 advanced the Syrupmakers and Patriots to Tuesday’s double-header. In Region 2-AAAA, Howard held off Perry 68-65 and Mary Persons closed off Spalding 83-71. LaGrange beat Central-Carrollton 57-39. On the girls side, #5 Cairo and #6 Americus-Sumter defeated Dougherty and Columbus in Region 1-AAAA. Upson Lee’s 57-19 win over Mary Persons and Perry’s 42-24 defeat over Howard advanced the two teams into the Region 2-AAAA semifinals. Eight teams vied for spots in Thursday’s semis in Region 4 and Woodward Academy, Luella, Druid Hills and Henry County secured. Cartersville defeated Chapel Hill 36-22 in Region 5-AAAA’s lone matchup. Pickens (58-54 Lafayette), Gilmer (60-36 Southeast Whitfield) and Heritage-Catoosa (70-27 Ridgeland) advanced out of Region 6-AAAA to settle the semis this Thursday with top-seed Northwest Whitfield. And In Region 7-AAAA, Chestatee (48-27 Blessed Trinity), White County (62-36 West Hall), and Marist (80-18 Denmark) will stage the semis where top seed Flowery Branch waits. Class AAA: For the girls, Central-Macon advanced past Westside-Macon 37-35 in a Region 4 game and will face No. 1 seed Peach County on Thursday. Westside enjoyed a 13-8 lead after the first quarter before Central responded with a 10-2 run in the second frame. It continued applying pressure with a 13-7 run in the third quarter. The Chargers held on through a Seminole 13-6 run in the fourth quarter to win. In a Region 5 game, Redan upset Stone Mountain 49-47 and will face No. 1 seeded Pace Academy on Wednesday. Class AA: For the girls, Dublin defeated Bleckley County 61-52 in a Region 3 game. Dublin will face Washington County on Tuesday. Class A: For the boys, the Charlton County Indians defeated Echols County for the third time this season by a score of 64-54. They now await their second-round matchup tomorrow against five-seed Turner County following their bye. Rivals St. Anne-Pacelli and Brookstone faced off for the third time this season, previously splitting the series 1-1. The lower seeded Vikings walked away with a close 48-45 win and will prepare to take on the winner of the Greenville and Central-Talbotton game. The fifth seeded Galloway Scots put up back-to-back 23 points quarters to mount a sound 67-37 victory over eighth seeded Weber. Their next matchup will be tomorrow against Mt. Vernon Presbyterian, who they bested 50-36 during the regular season. The Towns County Indians found themselves up 37-31 over Athens Christian headed into the fourth quarter. The Indians offense only put 9 points on the board in the final quarter but held the Eagles to just 13 points which was enough to snag the 46-44 win. Towns County will now advance to their second-round Wednesday matchup against top-ranked Riverside Military who served them a 67-54 loss during the regular season. For the girls, Randolph-Clay soundly defeated Webster County 61-18 to advance to the second round where the Red Devils will take on the winner of the Terrell County and Chattahoochee County game. The six seeded Portal Panthers got a chance to steal a win away from the third seeded Montgomery County Eagles, but ultimately lost by two points to give Montgomery County the 36-34 victory. They’ll face off on Wednesday against second seed Savannah Christian, who served the Eagles a 48-32 loss during the regular season.